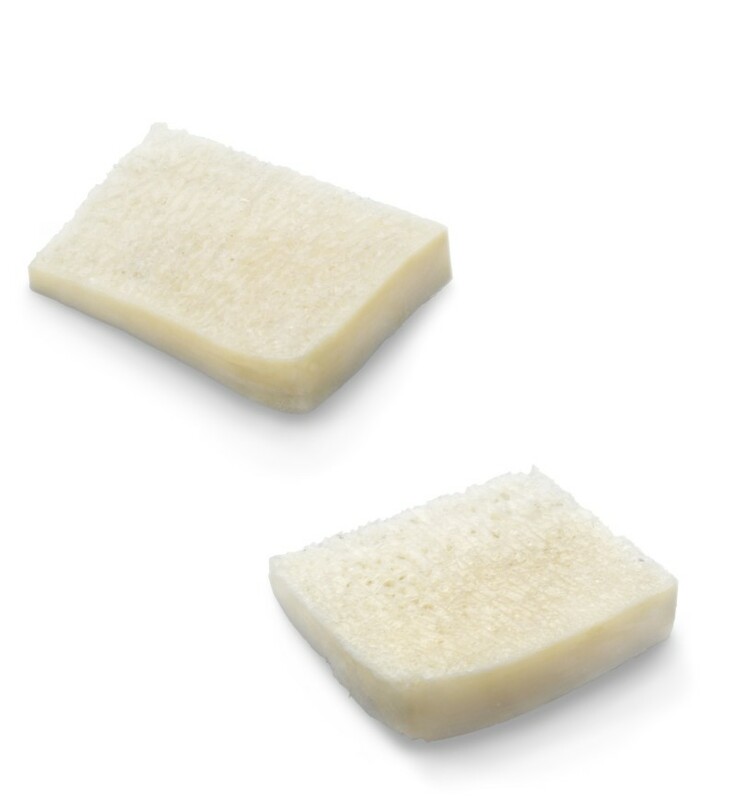 AlloWedge® Bicortical Allograft Bone - Products - RTI Surgical Holdings, Inc.
AlloWedge® Bicortical Allograft Bone wedges offer surgeons convenient options for approaching opening wedge osteotomies in the foot and ankle. These pre-shaped bicortical allografts are specifically shaped for Evans calcaneal osteotomies and Cotton osteotomies. Convenient size specific grafts and an easy-to-use, all-in-one instrument set reduces prep time and provides all the tools necessary to complete an Evans or Cotton osteotomy. The AlloWedge bicortical grafts are sterilized through the BioCleanse® Tissue Sterilization Process and are terminally sterilized using a validated gamma irradiation dose to achieve a Sterility Assurance Level (SAL) of 10-6. Bicortical edge provides structural support and strength to the graft allowing impaction of the graft into its precise location. Dense cancellous bone provides interconnected porosity to support bone incorporation. The pre-shaped design of the graft decreases the amount of trimming and shaping necessary, saving valuable O.R. time. Size-specific trials assist in the appropriate graft selection. Wide footprint distractor maintains the site while the textured surface allows for a more controlled grip and provides resistance from slippage. Osteotomes are designed with easy-to-grip handles, and sharp serrated edges provide a precise, clean cut. The mallet is balanced for control and accuracy. Tamps are provided to aid with placement of the graft.